Every wednesday to saturday one nice person out of a group of nice vegan bloggers (see on their facebookpage who it is this week) collects posts of bloggers about their Vegan Wednesdays, to put them on a very beautiful Pinterest Board. We thank them very much for the work they put every week into the Board!! If you have any questions about the recipes we used, feel free to write us in the comments! 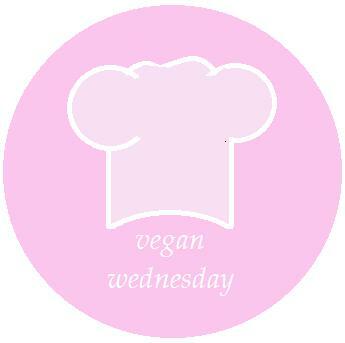 Enjoy to follow us on our mid-weekly journeys through our (always) vegan days! VegWed # 94 – green juices are my best friends! VegWed # 88 – all die Blumen! VegWed # 75 it’s all orange!